How do you choose your cheese? Do you always go for the same brand of cheese or are you tempted by the ubiquitous supermarket special offers? I’ve always enjoyed a tasty, mature cheddar, and on a visit to the supermarket, there never seems to be a shortage of options of mature, extra-mature, vintage, cave-aged and so on. But before I got involved in our latest cheddar taste test, my method of choosing cheese was to ignore the varied selection and instead always go for a special offer. Due to this, I’d end up, more often than not, with two big blocks for the price of one. I’m not alone, of course – when we surveyed 1,128 Which? members, we found that more than a quarter were frequently tempted along the offer route. The good news is that if you do buy in bulk, you can freeze cheese and eat it at your leisure. According to the experts, if you defrost cheddar slowly in a fridge, then this helps reduce any tendency for it to become over crumbly. Wouldn’t you like their job? Five experts took part in our recent taste test – of cheddar and parmesan. Between them they have well over a century’s worth of experience in the cheese industry. And they weren’t just experts -­ they clearly love their jobs. So they crumbled, crunched and chewed their way through our blind test of 14 premium extra mature and vintage cheddars, as well as seven wedges of premium parmesan. 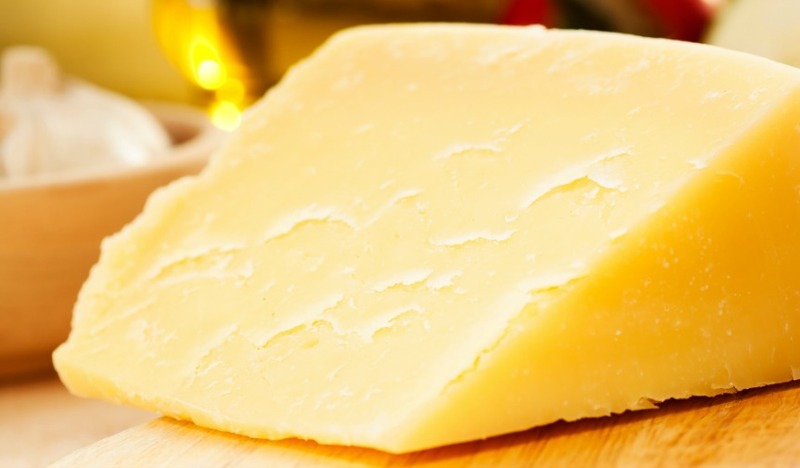 Cheddar – should it crackle and crunch? We’re a nation of cheese lovers and, while we do eat plenty of blue cheese and both hard and soft continental cheeses, cheddar is firmly in the lead in the popularity stakes. But our tastes are evolving, as new-style ‘sweeter’ and crunchy cheddars make their mark. If you’ve noticed white bits on the surface or inside your cheese, this may not be mould (it might be), but could be either calcium lactate or tyrosine crystals, both of which can be encouraged by the cheese-making process. These give some cheddars, such as Davidstow Cornish Crackler, Castello Tickler, M&S Cornish Cruncher and Waitrose Cornish Quartz – which were all in our taste test – their gritty crunch. Go to our cheese taste test results to find out if our experts were impressed by any of these. As for me, I found a clear favourite among the 14 cheddars on test, and will be sticking to it – for now at least. How do you decide what cheese to buy? Are you loyal to your brand or do you love sniffing out a bargain? Is there a particular type ­– Cheshire, Wensleydale or Red Leicester – that always gets your vote? What about freezing cheese – have you ever tried it? Have you found freezing cheese deteriorates or changes it at all? Reduced-fat cheese: is it worth buying? As we generally food shop at our local M&S we buy their own branded cheese. Most of the time this is West Country cheddar – strength 3 to 5. We enjoy the strongish taste in sandwiches, with biscuits, on toast (grilled or fresh), in omelettes, as a general purpose cheese . Occasionally we’ll have Brie, Lancashire and Cheshire for a change. Parmesan in the fridge for pasta. See no point in freezing cheese, just buy it in the weekly shop. Cheese (Cheddar particularly) goes well with many things – fresh fruit, apple pie, fruit cake, raspberry jam in a sandwich, as examples. Perhaps be good to hear other people’s cheese favourite “pairings” for this versatile food. A good mature farmhouse cheddar is my preference, especially with celery, but a lot of the big brand cheese producers seem to think we need it to be sharp. In my view this actually spoils the taste, and ruins the enjoyment of a cheese and cucumber or tomato sandwich. Double Gloucester is an easy-going cheese with a mellow flavour, and we also like Red Leicester, Lancashire, and Cheshire. Small portions of Shropshire Blue and Stilton are good on crackers and biscuits for cheese. Brie makes a pleasant change with a salad and a glass of Riesling, and some of the English Bries are rather good. Of course, for the connoisseur there are Dairylea cheese triangles with their unique taste and distinctive texture; very good with a 2016 Lambrini Bianco or a cup of tea even. We often stray into the continental selection so each week we tend to have something different from Germany, France , Italy or Greece, and occasionally from Holland, Portugal or Scandinavia. It will be interesting to see how leaving the EU might open up more choices from around the world and make some of the popular, but not necessarily better, cheeses from Europe more expensive. Usually we buy our cheeses from the cheese counter in the delicatessen where we can sometimes do a taste test and also have cheese cut to order for the amount we want. What I do not like about the pre-cut and wrapped cheese on sale in the chiller cabinets in the dairy aisle is that all the Cheddars, and many of the other hard cheeses, are cut as slabs, and sometimes rather thin slabs, where the ratio of the sides and ends to the top and bottom is out of proportion, so to cut a nice flat section for a sandwich is nigh on impossible – you have to make the cheese layer up from slivers cut from the sides. Perhaps we need to buy one of those expensive professional cheese-wire gadgets [probably good for the unintentional finger nail as well]. I like to buy cheese I like, for Cheddars it tends to be stronger tasting more mature but I don’t like blue cheese and some really old Cheddars can have a blue taste, even if only in part. But it is fun to be able to taste cheeses and ask the “experts” for advice. (Tesco, hang you head in shame for putting a non-cheese eater on the counter – and a veggie on the meat counter). Waitrose does really well hear with having knowledgable people on their counters who also enjoy the products they are selling. I also use the farmer’s markets and although we have favourites sometimes a new product is available. But price is also a factor, if a cheese we like is on offer we may buy a bit more. Or try something different if it too is on offer and we would probably like the cheese. The Rockfort from Aldi is nearly half the price of that in Waitrose and is still pretty good if a lttle most from being pre-packed. Other specified source matu cheddars are extremely good value at Aldi. The only cheddar wih any taste in Asda is Canadian 250 g packs. M & S does has some tasty cheeses at a generally higher price. I would like to see Which? make comparisons with cheeses available from European supermarkets such as Auchan, Carrefour, iPer etc. Whilst we remain members of the EU , it is legitimate to bring cheese and other EU food home – we take an easily squashable coolie bag and often buy cheeses the day before we come home. I sincerely hope that doesn’t change with Brexit. With budget airlines flying all over Europe, its a great way to bring back something special. We ALWAYS buy parmesan in Italy – its just so much better. The flavour of what is available in the home country is almost always superior to what is offered here – just as you are unlikely to find a great cheddar abroad. Furthermore, I would like Which? to do this more often as a way of really validating the price/quality available here. I think the big supermarkets do a fantastic job in providing great choice in some product areas but in others I’m not so sure. Go into any big French Hypermarket or iPer in Italy and the fresh food counters leave ours wallowing in the mud. The presentation and choice always seems superior – why? The transport logistics are in place to get the products here. I noted the freezer tips. Because of the very low water content in parmesan, it is excellent for grating ( which is how most people use parmesan in my experience) and freezing. No need to limit yourself to 50gms. Grating and freezing whatever you don’t plan to use in the first month we have found to be an excellent way of preserving it. I agree with you Oschick. I am also greatly impressed by the fresh fruit and produce on sale in open and covered markets across the continent. The UK’s supermarkets seem to have destroyed quality shopping. Just two seem to offer equivalent quality but only under fairly controlled conditions and not always attractively presented. Everything here is pre-packed and refrigerated and ‘displayed’ in crates dumped one on top of the other. Even loose fruit, such as apples or oranges, is just chucked in. To think we were once described as a nation of shopkeepers – but that was from a Frenchman [Napoleon Bonaparte] and it was almost certainly said as an insult.